Are you looking for tips on how to get a better nights sleep? Well, I’ve had a few restless nights too, but there are things that I have found that work to help you get to sleep and stay asleep all night long. So, I want to share a few tips, tricks and a couple products to help you get the sleep of your dreams. I did a whole video with the same content below, so if you would rather watch, than read, please click the video below. Insomnia, or not getting enough sleep, is no fun. It is really important to get a good amount of sleep to let your body recover from the day before and prepare itself for the next day. There are all kinds of benefits to getting the suggested 8 or more hours of sleep each night. Besides the more superficial reasons, like less under eye circles, more sleep has been associated with better blood pressure, less stress, or even less chances of depression because you are getting higher amounts of serotonin during sleep. So let’s start with what could cause sleep issues and how to fix them. The first problem that could be keeping you up all night is stimulants too close to bedtime. What are stimulants? I am talking about caffeinated coffees, teas or sodas, and alcohol of any type. It is suggested that these drinks should be avoided 4-6 hours before bedtime. If you are particularly sensitive, maybe stop the caffeine after noon or if more extreme measures are needed, take it completely out of your diet. Make sure to look for hidden places that caffeine might be, like in chocolate or maybe diet pills or other medications. My first instinct was to say that exercising too close to bed can cause insomnia. But I did some research and there have been mixed findings on if this is true and no real good studies to go by. I know for me, I exercising 1-2 hours before bed might give me too much energy. But this might not be the case for you. It is something to consider if you’re having trouble sleeping. Give exercising earlier in the day a try. Also, if you aren’t exercising at all, your body may have too much energy in general. Try adding some exercise to your routine – sometimes you just need to tire yourself out more during the day to get a better, deeper sleep. If you are having restless nights and your mattress is more than 7 years old, you might need a new mattress. The Better Sleep Council recommends replacing your mattress every 7 to 10 years. I just got a new Sleep Number mattress and a mattress topper and have found that I sleep a lot more soundly. I actually just did a review on the Sleep Number bed if you are in the market or curious if it’s a mattress that might work for you. But having a good mattress will make sure you have proper spine alignment and can even affect your blood vessels by making sure they are getting proper blood flow. So, if it’s time to get a new mattress, don’t delay, because as soon as you do, you won’t be tossing and turning as much. My next tip is to make sure you have a really dark room. Having too much light coming through the windows, or your alarm clock facing you or falling asleep with the tv on can all be reasons you aren’t getting enough sleep. Your phone could also be affecting your sleep. At night your brain gets confused because the phone is mimicking the brightness of the sun and disrupting melatonin production, which gives your body cues to fall asleep. If you are on an iphone, there is a night shift setting to make the display warmer, so it has less blue light. You can set this to automatically shift for certain hours of the day. For other phones, there is an app called Twilight that can help with the blue light issue. 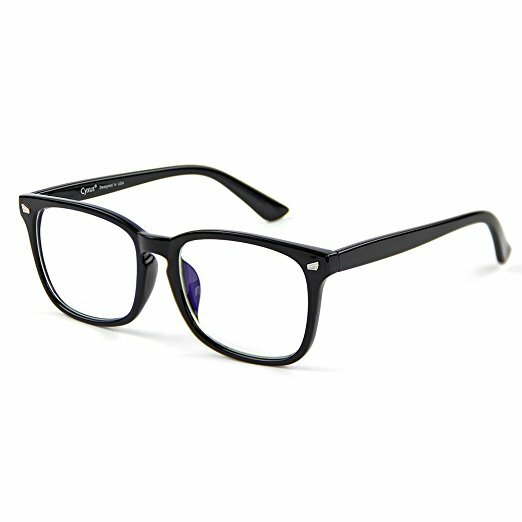 There are even blue light blocking glasses, which just look like regular glasses, and you can buy these if you want to try wearing them while watching tv before bed. Another possible culprit of a bad night’s sleep could be the temperature of the room you are sleeping in. According to the National Sleep Foundation, the ideal temperature for sleeping is somewhere around 65 degrees, which is a lot colder than I thought it should be. If you’ve tried everything else, it might be worth a higher electric bill for a couple weeks to test this one out. If you normally go to bed with a very quiet room, and you are having sleep issues, maybe try some soothing sounds or music to put you to sleep. Everyone has different tastes, but a majority like white noise, nature sounds, or spa type music. You can listen to a music station or use an app on your phone. I have the Relax Melodies app, which is for iPhone or Android and it’s free for the basic version. You can customize your relaxing sound by picking from options such as river, piano, birds, wind, etc. They also have guided sleep meditations and a timer so it will stop after a certain amount of time. Lastly, I have a few products I want to mention. I don’t like taking too many medicines, so these are more natural sleep aid options. The first are called Moon Drops. These are a homeopathic lozenge. They claim to quiet your mind, ease stress and easy digestion issues and lessen sensitivity to noise and light. They are natural and non-habit forming and have no side effects. They are vanilla flavored and you take 1 or 2 before bedtime and let it dissolve in your mouth like a lozenge. The next one is called Dream Water and this a 2.5 oz relaxation shot. It tastes like grapes or like watered down grape juice. It is a fast acting liquid that is also non habit forming. The main ingredients are GABA, melatonin and 5-htp. It really helps you relax and get a better nights sleep. A final touch to your nighttime routine can be to gently mist your bed with lavender spray. I have been using the ThisWorks Deep Sleep Pillow spray and it isn’t too strong and doesn’t make me sneeze. This natural sleep aid has lavender and chamomile to help reduce anxiety and calm you down before bed. If you’re still having trouble sleeping after trying all these suggestions, you might consider seeing a sleep doctor. They can really analyze your sleep and do tests to give a very tailored diagnosis of what might be causing your insomnia. So, there were my tips to get the sleep of your dreams. Now, I want to know – what do you do to get a good nights sleep? I really want to build a community where we share our ideas to help each other out, so please comment below. And if you liked this blog and want to see when I post more like it, please check out the subscribe page.